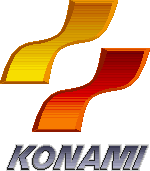 Konami means "small wave". The MSX is probably best known for its Konami games. Sometimes if you have another Konami cartridge in another slot, you get some really weird effects. Check this page for a complete list of all possibilities. Here's a explanation on how to make the link cable to play Konami's F1 Spirit 3D Special against someone else on another MSX.